Actual size: 100mmX100mm (3.937″X3.937″) Tile with a #4 Brushed finish. 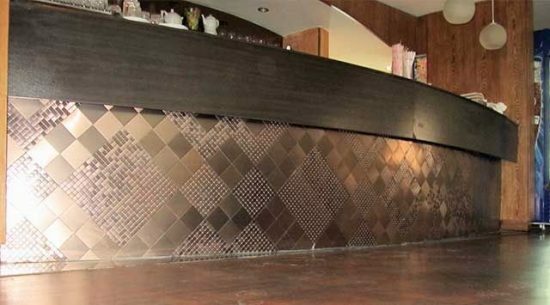 4×4″ brushed tiles are perfect for a wide variety of linear or diagonal patterns. We intend to keep these in stock, but act now as we expect them to fly off the shelf at these prices!